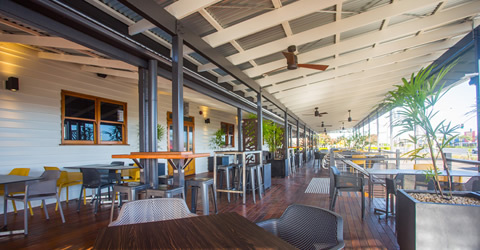 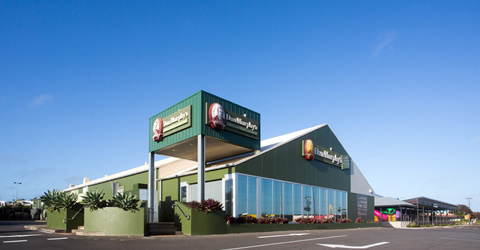 The Dan Murphy’s Hervey Bay and The Bay Central Tavern project comprised extension to the back of house areas to the existing Dan Murphy’s and concurrently turning an out of date suburban tavern into a modern and thriving gaming and gastro style pub. 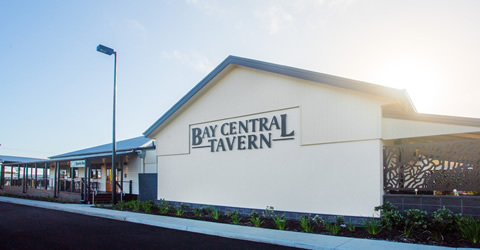 The pub was to remain operational at all times during the construction process. 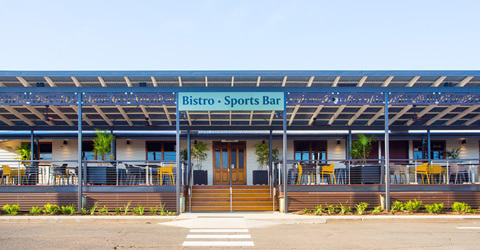 The Bistro and Bar with landscaping and a major expansion of the existing carparking areas. 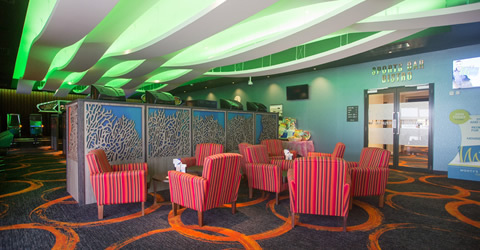 The gaming room features a wave-formed ceiling, a playful centre piece full of colour and movement. 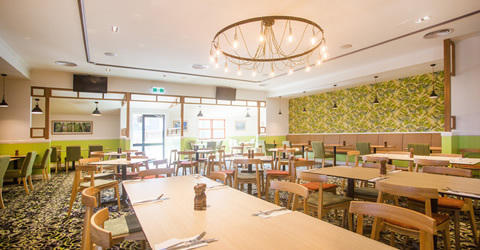 The gaming room also features custom lasercut screens with an intricate coral design designed to tie in with the seascape theme.